On November 21, 2016 a Royal Blue and Metallic 23-foot 2014 Centurion Enzo SV233 with VM Tandem trailer was stolen from a storage facility in Sorrento, BC near Shuswap Lake. The vessel is equipped wih a PCM Inboard engince (serial number 536609), and the trailer has BC license plate UYX 22C. If you have any information on the theft of this vessel or it's current location then please contact your local police, Crime Stoppers, or Salmon Arm RCMP (250-832-6044). File 2016-6323. On November 12, 2016 a 19-foot 1978 Silverline Nantucket with EZ Loader trailer was stolen from the roadside near Sicamous, BC. The vessel and trailer had been parked on a fronatge road adjacent to Highway 1 with a "For Sale" sign. If you have any information on the theft of this vessel or it's current location then please contact your local police, Crime Stoppers, or Constable Thomas Gill of the Sicomous RCMP (250-836-2878). File 2016-1611. On October 19th 2016, the Port of Vancouver River Patrol crew alerted the New Westminster Police to the appearance of a 16 foot Princecraft on the bank of the north arm of the Fraser River. The New Westminster Police Marine Unit attended and obtained the HIN and other details of the vessel. The investigation by New Westminster Police has determined that the vessel had been stolen from Chilliwack. If you can assist in this investigation, please contact Cst Ryan Newman. New Westminster Police File 2016-20315. On October 12, 2016 at 9:45pm a mid-1980's 13-foot Ranger Marine Super Sport on a black U-Build trailer was stolen from the 7800 Block of 14th Ave in Burnaby BC. This vessel is white, beige and red and is equipped with a 40hp Nissan Outboard engine. If you have any information on the theft of this vessel or it's current location then please contact your local police, Crime Stoppers, or the Burnaby RCMP (604-294-7922). File 2016-46160. On October 10, 2016 members of the Royal Canadian Marine Search and Rescue (RCMSAR) located a yellow canoe adrift approximately 2 nautical miles Northwest of the Sands Heads in the Strait of Georgia off Richmond, BC. The vessel was transferred from the care of the RCMSAR to the Richmond RCMP. The canoe had no markings. If you can assist in identifying this vessel, please contact Constable Marco Sallinen of the Richmond RCMP. File 2016-36996. On September 30, 2016 two Sea Doo GTX were stolen from the Harrison RV Resort in Harrison Mills, BC. If you have any information on the theft of this vessel or it's current location then please contact your local police, Crime Stoppers, or Chilliwack RCMP (604-792-4611). File 2016-43374. On the morning of Sunday August 28th/2016 two 16-foot mango-colour Necky Narpa Kayaks kayaks were stolen off a kayak trailer in South Surrey, BC. The thieves cut 1200 pound airline cable to steal the kayaks. Both boats are mango in colour and made of poly-urethane (plastic). Serial numbers are FI4446 and FI4523. Please contact the Surrey RCMP if you have any information on these kayaks. Surrey RCMP File Number 2016-124794. On May 28th 2016, a 1984 16 foot Naden was stolen from the Victoria Harbour Ferry wharf in Victoria Harbour. 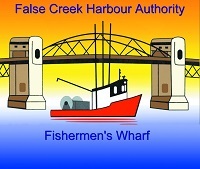 An observant member of the waterfront community located the vessel and subsequently confirmed its identity from the Stolen Boats Canada website. As a result of his actions, the vessel is now back in the care of the Victoria Harbour Ferry Company. The City of Vancouver Park Rangers have recovered several kayaks abandoned in City Parks and Stanley Park over the past few weeks. The vessels are being held by the Vancouver Police Department for Safe Keeping and identification of the lawful owners. If you recognize any of the kayaks below, please contact Cst Tammy Hammell at the VPD Marine Unit. On August 23, 2016 a Yellow and White 19'6" 2007 Sea Ray Bowrider with Midwest trailer was stolen from a campsite in Canmore Alberta. This vessel is equipped with a 235hp Mercruiser engine. If you have any information on the theft of this vessel or it's current location then please contact your local police, Crime Stoppers, or Constable Scharff of the Canmore RCMP (403-678-5516). File 2016-1097696. On July 23rd 2016, Vancouver Police Marine Unit members checking vessels at Vanier Park, encountered a vessel and trailer that raised suspicions that the vessel and trailer may be a historical “stolen”. As a result of an extensive investigation involving assistance from M&P Mercury Sales and the US Border Patrol - Blaine Sector, the vessel was successfully identified as being a 1998 Sea Ray 190 that had been stolen on its trailer from Richmond in 2002. On August 23, VPD Marine Unit members seized the vessel. Please contact Cst Jamie Gibson or Cst Tammy Hammell of the VPD Marine Unit if you can assist in this matter. 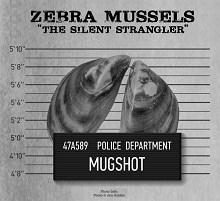 Stolen Boats Canada would like to remind people to be vigilant when purchasing a used vessel or trailer. Any anomalies to the Hull Identification Number, repainted hulls or manufactured trailers with all decals removed and registered as a U-Built trailer are a few of several “flags” that should encourage the perspective buyer to make further inquiries. Between August 20-21, 2016 a Sea Eagle 465ft Boat-in-a-Bag Inflatable kayak was stolen from a storage locker of a residential building in the 1000 Block of Gilford St, Vancouver. If you have any information on the theft of this vessel or it's current location then please contact your local police, Crime Stoppers, or the Vancouver Police Department. File 2016-166408. The Vancouver Park Rangers have located an 18 foot 2003 Current Designs “Storm” kayak. The kayak has been turned over to the Vancouver Police for safekeeping and identification of the owner. Please contact Constable Jamie Gibson of the VPD Marine Unit if you can assist in this investigation. v/m 604-717-9094. Police have located the burnt out remains of the Bayliner F19 that was stolen from Fort St John on July 4th. The vessel was located in a field off 273rd Road, west of Charlie Lake, Fort St John BC. Please contact the Fort St John RCMP or CRIMESTOPPERS if you have information on this incident. The Richmond RCMP have confirmed that they have identified and located the owner of the 10 foot Riviera found overturned in the south arm of the Fraser River July 22nd by RCMSAR. The vessel owner was able to safely swim to shore after his vessel had over turned. Thanks to everyone for their assistance. Between July 12 and July 19 a red 2015 Kingfisher 2025 Flex with EZ Loader Trailer was stolen from Mainline RV in Rosetown, Saskatchewan. If you have any information on the theft of this vessel or it's current location then please contact your local police, Crime Stoppers, or the Rosetown Arm RCMP (306-882-5700). File 2016-930718. Overnight on July 18-19, 2016 a red 11-foot 2009 Yamaha Waverunner FZS SHO was stolen from Blind Bay on Shuswap Lake, BC. 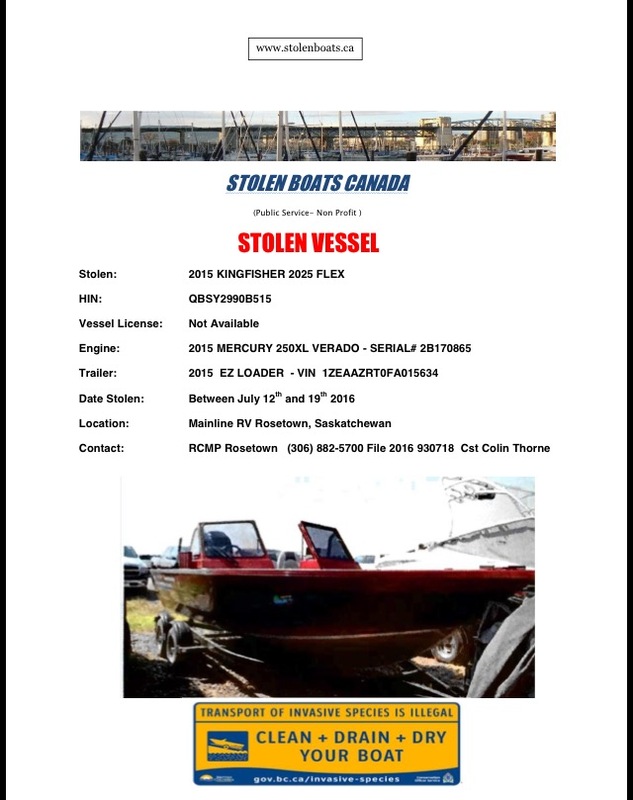 If you have any information on the theft of this vessel or it's current location then please contact your local police, Crime Stoppers, or the Salmon Arm RCMP. File 2016-3714. Between June 19 and July 4, 2016 an 8-foot Walker Bay was stolen from a parking garage in the 9500 Block of Manchester Drive in Burnaby. This vessel has scratches on the bottom with two holes for fishing rod holders in the back gunnel. If you have any information on the theft of this vessel or it's current location then please contact your local police, Crime Stoppers, or Cst. Abdullah El Dalk of the Burnaby RCMP. File 2016-29644. On July 4th 2016, a 23 foot Home Built Pontoon boat was found drifting in Okanagan Lake near the William Bennett Bridge. 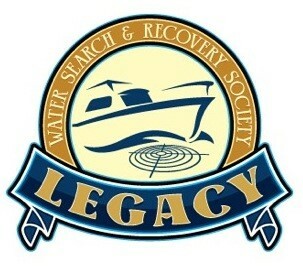 The West Kelowna RCMP attended and recovered the vessel that was adrift with the keys in the ignition. The previous owner was contacted and advises that the vessel had been sold years earlier. Investigators are attempting to locate the current owner to determine the circumstances of the vessel being adrift. If you can assist, Please contact Constable Ryan Smith of the West Kelowna RCMP Detachment at 250-768-2880 file 2016-37603. On July 3, 2016 Two Pelican kayaks (Blue Pelican Odyssey 100x and Red Pelican Summit 100x) were stolen from a residence in Richmond. If you have any information on the theft of this vessel or it's current location then please contact your local police, Crime Stoppers, or the Richmond RCMP. File 2016-21807. On July 1, 2016 a 9-foot 2015 Hydroforce Inflatable was stolen from the Spyglass Docks in Vancouver, BC. If you have any information on the theft of this vessel or it's current location then please contact your local police, Crime Stoppers, or Constable Jamie Gibson of the Vancouver Police Marine Unit (604-717-9094). File 2016-127523. The Nanaimo RCMP have recovered two vessels and two engines believed to be stolen. Investigators are requesting assistance in identifying the property. The vessels consist of a 14 foot 2008 Livingston and an older model 8 foot Aquamarine Inflatable. Seized in conjunction with the vessels were a Honda 50 hp outboard and a Yamaha 9.9 hp outboard. If you can assist with this investigation please contact Constable Mike Eckert of the RCMP Nanaimo 250-754-2345 or CRIMESTOPPERS. File 2015-178657. On June 24, 2016 between 9:30pm and 10:30pm a 10-foot 1990 Avon Inflatable with Yamaha 8hp outboard was stolen from the Harbour Green Docks in Vancouver, BC. If you have any information on the theft of this vessel or it's current location then please contact your local police, Crime Stoppers, or Constable Jamie Gibson of the Vancouver Police Marine Unit. File 2016-12261. 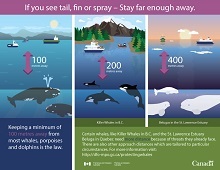 On June 17 between 8:30am and 10:15am an 11-foot 2011 Brig E340H Inflatable was lost somewhere between False Creek and the South Arm of the Fraser River (Sands Head area). This vessel is equipped with a 30hp Honda 4-stroke engine. Please contact Constable Tony Blouin or CRIMESTOPPERS if you can assist with this investigation. File 2016-116941. On June 14th 2016, members of the RCMP Mission Detachment recovered the remains of an aluminum pontoon boat. With assistance from technicians at the Port Moody GA Checkpoint Yamaha and a thorough inspection of the craft by members, the vessel was identified as the 2007 Smokercraft Sun Chaser that had been stolen from the Mission area in the past week. The suspects had stripped the seats, components, sides, new beige canvass and the 90 hp Mercury Outboard Board from the vessel before dumping it near Nelson St and 1st Ave. (Near Mission Golf Course). Outstanding parts include the 90 hp Mercury Outboard S/N 1B430202. Please contact the RCMP Mission Detachment (604-826-7161) if you can provide any details that could assist with this investigation. File 2016-7437. On June 7 between 6:50am and 9:10am a 20-foot yellow and black 2007 Mastercraft X2 with trailer was stolen from the 9800 Block of 158A Street in Surrey, BC. If you have any information on the theft of this vessel or it's current location then please contact your local police, Crime Stoppers, or the Surrey RCMP (604-599-0502). File 16-80170. On May 9 between 9:00am and noon a 13-foot gray 2005 Boston Whaler Sport with 2005 Grey Karavan trailer was stolen from Alpine Place in Delta, BC. If you have any information on the theft of this vessel or it's current location then please contact your local police, Crime Stoppers, or the Delta Police Department (604-946-4411). File 16-9939. On May 9 2016, a 1991 Bayliner Trophy was recovered in Surrey, BC by the RCMP. As a result of their investigation, it was determined that the vessel had been stolen from Mill Bay on Vancouver Island. The vessel’s Mercury 200 hp outboard and Yamaha 8hp auxiliary engine had been removed and remain outstanding. If you are able to assist with this investigation, please contact the RCMP Shawnigan Lake Detachment (250) 743-5514 or RCMP Surrey Detachment File 2016-64369 Constable Audet (604-599-7650).